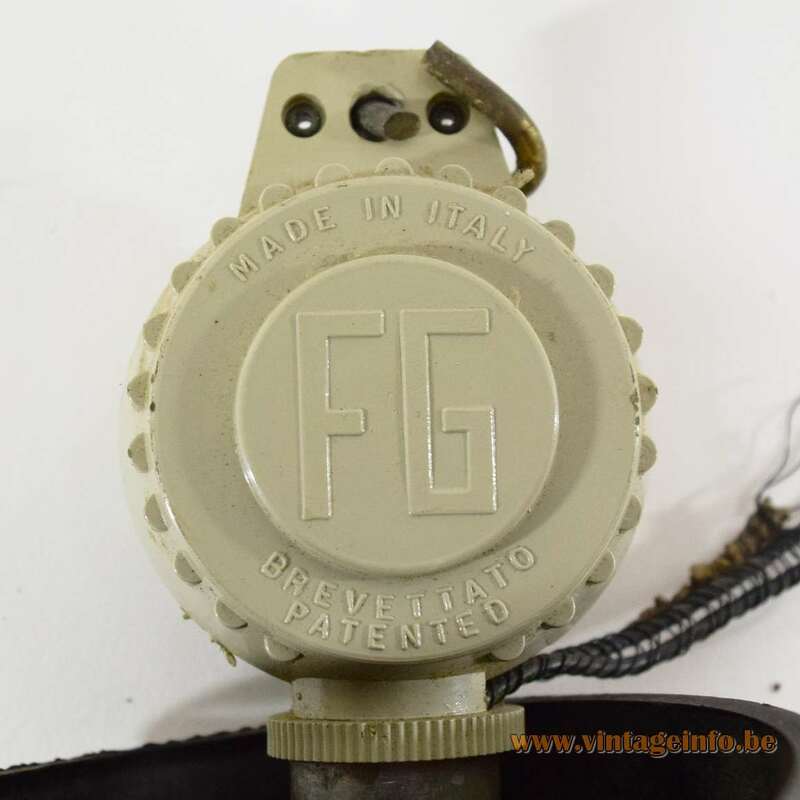 First of all, Fratelli Giannelli is not a light producer, they only made the rise & fall mechanism. 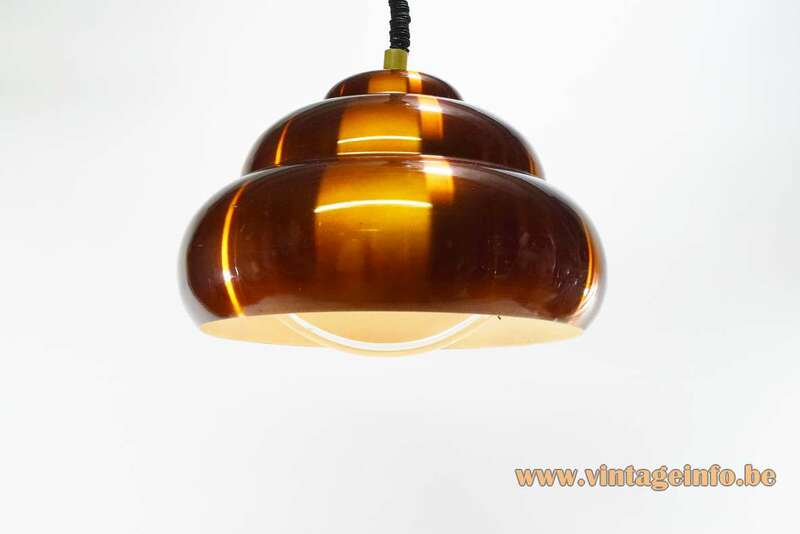 Materials: Copper coloured anodized aluminium lampshade, white painted inside. White painted iron, clear acrylic bar. Bakelite socket. 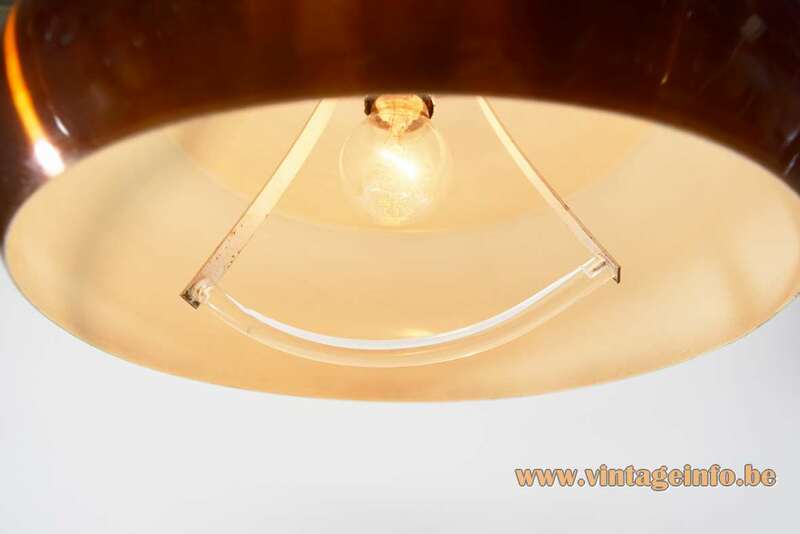 Cord: This one has an adjustable rise & fall mechanism (40 – 140 cm / 15.74 – 55.11″), and can be easily adjusted in height by pulling the acrylic bar underneath. Other versions: Unknown, probably made in several colours. 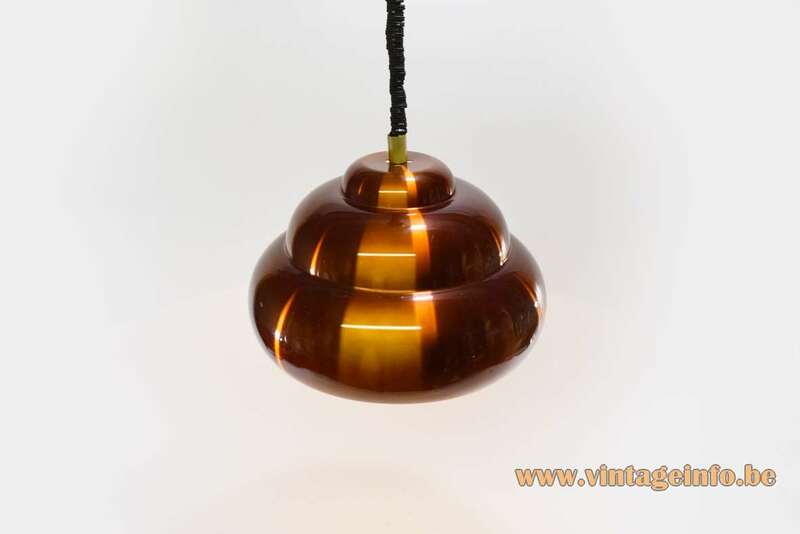 Many lamps to be found when you do a search on Fratelli Giannelli. 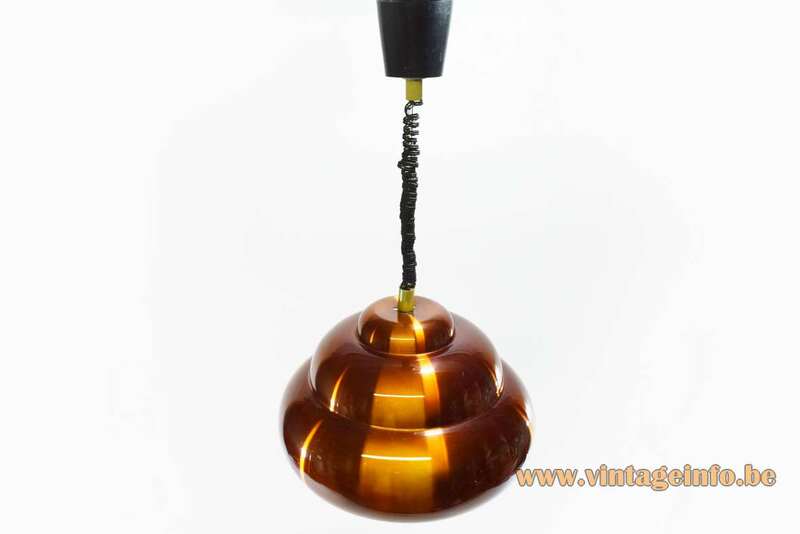 All in a style that is not a style, typical for lamps produced by Massive. 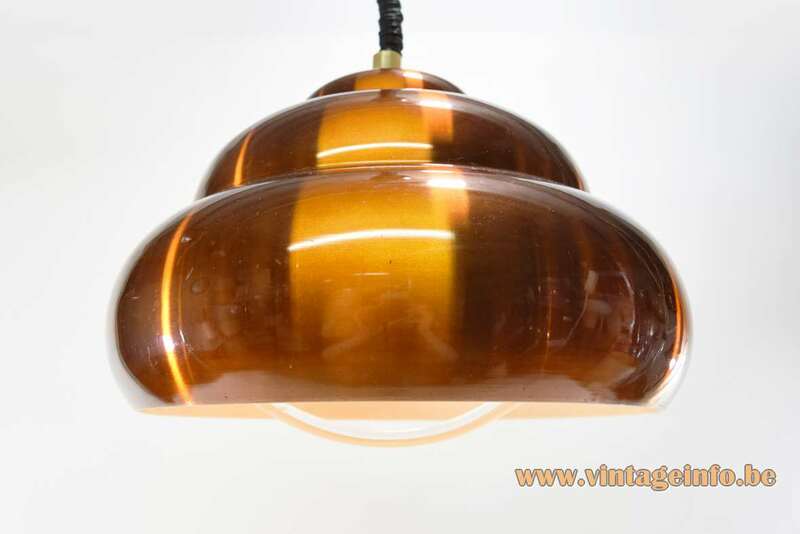 They are all lamps that have the looks of other companies, but they are not. 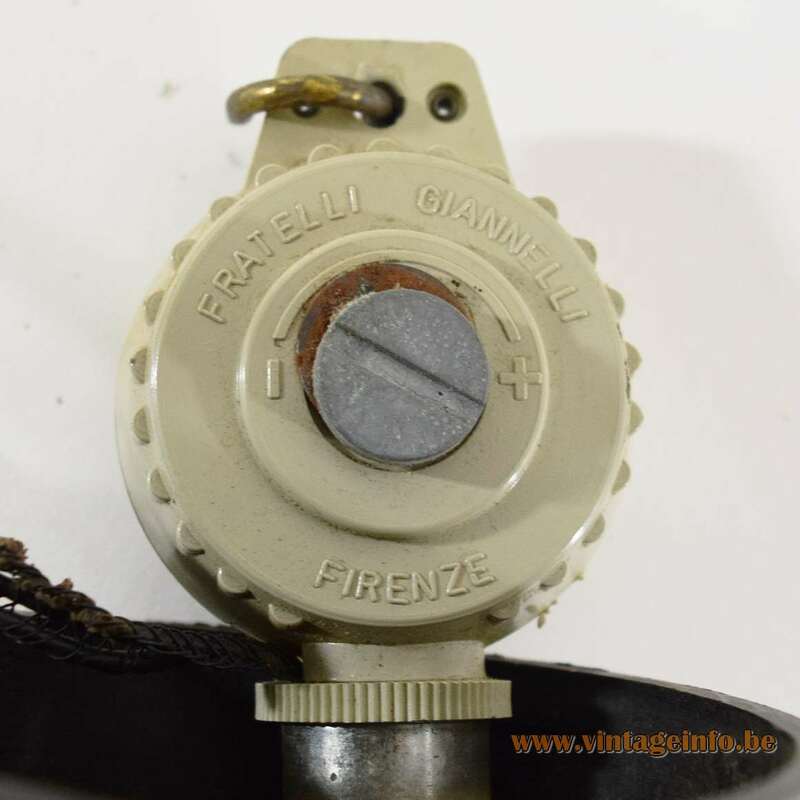 Fratelli Giannelli (brothers Giannelli) was a rise & fall mechanism producer such as the other Italian company Rolly. Both firms are long gone. 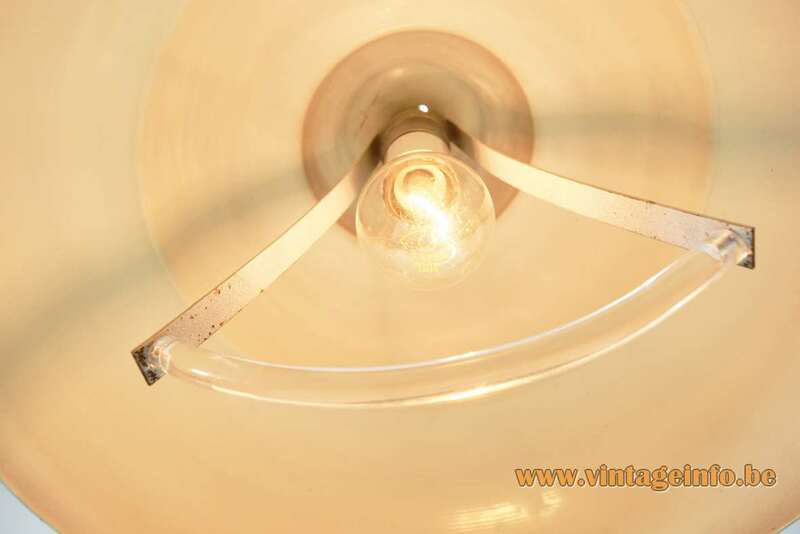 In the 1980s the interest in the rise & fall lamps was over. The only company with that name to be found in the region is Gianagri S.n.c. Fratelli Giannelli. Today (2018) it is Saulina Srl; hotel Villa Saulina, some 25 km / 15,5 mi from Florence, the capital city of the Italian region of Tuscany. It is unclear if they got anything to do with the former rise & fall mechanism producer.